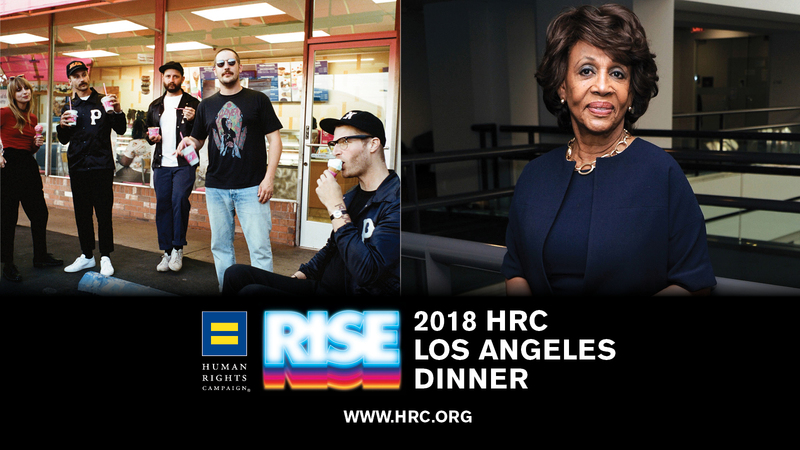 HRC announced that Congresswoman Maxine Waters (D-CA) will speak and the Grammy Award-winning rock band Portugal. The Man will perform at the 2018 HRC Los Angeles Dinner. Set to take place on Saturday, March 10, 2018, at the JW Marriott L.A. LIVE, the event brings together more than 1,000 of HRC’s most active members and supporters in the greater Los Angeles area to raise crucial funds in the fight for LGBTQ equality.